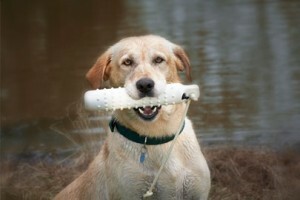 Now is the time to get your dog ready for hunting season! Dove season has already started, and duck season is around the corner. Start working with your dog now to refresh those hunting skills for a great start. You can read the full article and tips on the Ducks Unlimited website. This entry was posted on Tuesday, September 17th, 2013 at 10:31 pm	and is filed under News & Updates. You can follow any responses to this entry through the RSS 2.0 feed. Both comments and pings are currently closed.